It was a win-win for seniors and their loved ones when Willow Valley introduced SmartLife VIA Willow Valley. three years later, it’s the fastest growing Lifecare-at-home program of its kind in the country. While some seniors embrace moving to a senior-living community, others vow to stay put in their homes. Willow Valley is well aware of both scenarios. The ever-growing community has been attracting residents from all over the country since it opened over 30 years ago. However, they have always been aware that senior-living communities, even those that offer a smorgasbord of amenities, are not for everyone. For some, home will always be home. People are reluctant to give up their comfort zones, where they know their neighbors and have long-established support systems in place. The visionaries at Willow Valley Communities felt a need to reach out to such people. 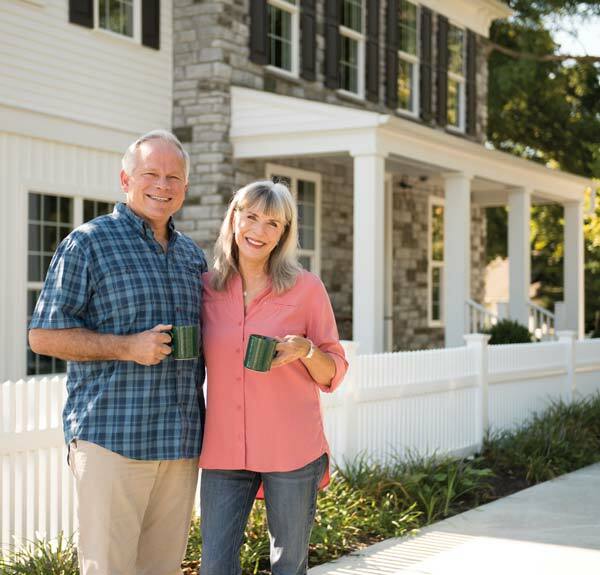 After hiring consultants from Cherry Hill, New Jersey, and studying the feedback from several focus groups, Willow Valley came up with a solution – the missing piece to the retirement living puzzle; the piece that would mesh perfectly with their other programs. SmartLife VIA Willow Valley, which is a membership-based program, is the only true Lifecare-at-Home program in Lancaster County. Launched in June 2014, it was designed to deliver the same incomparable, high-quality service and care that resident members have come to enjoy and expect at the main campus in Willow Street. SmartLife members, however, live in their own homes. The program provides members and their families with peace of mind, knowing their loved ones will have access to the full continuum of compassionate, high-quality care when needed, while providing protection from the escalating costs of care. Jennifer Egizi, senior director of Home & Community Based Services says, “The best time to join SmartLife is while you are still well and living independently in your own home.” That advice points to the fact that all too often, a senior may suddenly experience a medical problem or find that daily activities are becoming a challenge. In many cases, their children are faced with making life-altering decisions under stressful conditions. Makeshift arrangements often result, which leave all involved feeling uprooted and unsettled. SmartLife’s minimum age requirement is 60 (there is no maximum age), which perfectly meshes with the aforementioned scenarios. The program encompasses all of Lancaster County (although the service area is expected to expand in the near future). What sets SmartLife apart from other similar programs is that it is a life care program (not to be confused with traditional long-term-care insurance). Much like Lifecare at Willow Valley, a member is guaranteed care for life. SmartLife members pay a one-time entrance fee and an ongoing monthly fee. The monthly fee never changes, regardless of the level of care the member requires. SmartLife offers independence in a member’s own home and provides for lifelong security through personal care coordination and a complete package of home care, personal care and nursing care. Members and their families work with an assigned Lifecare Coordinator to ensure services – as needed – are provided. Willow Valley’s goal is a simple one – to keep members healthy and independent in their own homes and to help them live life to the fullest. “Life lived forward” is Willow Valley’s mantra. In order to make SmartLife members feel they are part of the Willow Valley community, monthly events are planned (participation is optional). Andrew Solodky, sales supervisor at SmartLife, explains that members can take advantage of on-campus activities such as clubs, art classes, lunch-and-learn events, programs at the Cultural Center, theater events and community trips. They also have access to the community’s Day Spa as well as the popular Clubhouse. Some activities may require an additional fee.According to Jennifer, welcoming SmartLife members to Willow Valley’s campus has created “a community within a community – outside the community.”To apply for SmartLife, prospective members must first complete a membership application, a financial application and have a one-on-one meeting with a Lifecare Coordinator. Also required is a three-year medical history from their family physician as well as a $250 non-refundable application fee. There are three plans to choose from: the All-Inclusive Plan, the Security Plan, and the Co-Pay Plan. A discount is offered for two individuals who occupy the same residence when they enroll at the same time. Jennifer and Andrew maintain that SmartLife is truly the gift of care. Jennifer remembers two new members who literally “wrapped up their membership” and gave it to their children as a Christmas gift. Their children quickly tore open the gift only to find a large packet confirming their parents’ membership to SmartLife VIA Willow Valley. Confused, they asked, “What is this?” Their parents’ replied, “This is the ultimate gift. We are giving you the gift of care – our care – so you no longer have to worry about us.” Essentially, SmartLife frees a family from caring for a family member and instead allows them to care about them. SmartLife’s office is located at 1576 Lititz Pike. For more information, call 717-299-5673 or visit smartlifewv.org.